Replacement Ford keys When you have No keys for your car. In the event that all keys have been lost for your Ford or Mazda car, you will need a Locksmith to make two new master keys for the car. A lot of the time, Locksmith prices are cheaper than the local Ford dealer to make new keys to your car. The keys have a transponder chip which is inside the head of the key; which will need to be programmed into the car. Ford dealers often sub-contract these jobs out to a local locksmith. Attend Locksmiths can make a new master key for your Ford or Mazda car. Would you like a flip key for your Ford car? Sometime we will need to remove the lock from the door to make the physical key. We then program the transponder into the cars computer. Then we test all the keys, & reinstall the door lock & you’re on your way. Replacement Ford keys from $260 when you have lost all keys to your car. Car keys are just one of those things we have and use every day. We don’t think too much about car keys or house keys until either we can’t find them. but having another Ford car key replacement made is something we never get around to doing. Lost all keys to your Ford Car? 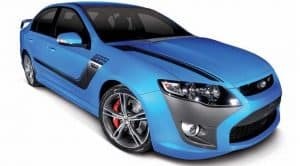 The most popular Ford cars you will see on the road in Australia are the Ford Falcon and the Ford territory. There are two different types of key these cars use, The original Fo21 key blank & the newer style HU101 key blank. The older style Ford Falcon key “Fo21” used on the AU Ford Falcon, BA Ford Falcon will cost $260. For a locksmith to make a new key and program the new key into the car. The new style Ford key “Hu101” is a higher security key. There is an option to have a flip key. The Flip key has the key blade inside the remote and holds the transponder, these are an extra $40 each. If you lose all the keys to your Ford Falcon, give us a call on 0413 120 444 we service Brisbane and the Gold Coast. Welcome to Attend Locksmiths page on Ford car keys. Below are all the Ford cars we make keys for. We make keys to Ford cars when all keys are lost or stolen. Program the key’s transponder into the car and you on your way. 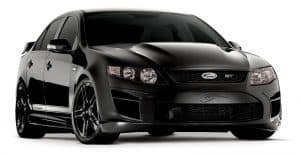 Below is a list of Ford cars WE Do. Locking your car keys in the vehicle or misplacing them is a common occurrence. Programming of transponder chips into the Ford car. You will be speaking with trade qualified locksmith with many years of experience who be able to assist you. This is a really common problem with Ford Falcon cars from the mid-2000s. The cars that are affected by this problem are the AU, BA, BF. All of a sudden you try to start the car and nothing happens. There is no resistance on the key & no spring back action. Now, these cars are getting up in age, we are seeing more and more worn out ignition barrels.